Have you seen Food Matters on Netflix yet? If not, you need to check it out. It's not one of those documentaries that shows the gory conditions of chicken farms or meat factories. It's actually an encouraging documentary about how healing food is. I heard about this through a friend, and I can't encourage you enough to watch it. We all know people who pop pills as soon as they're diagnosed with something that they potentially have the ability to reverse. Instead of treating the root cause of the problem, they rely on medicine to fix it. How many more cases of diabetes or heart problems could we prevent if we all focused on good whole foods? This really hits me close to the heart. I want people to thrive, not just survive, trite as it may sound. One tidbit I was shocked to learn was that huge doses of vitamin C were given to some cancer patients in a study and it helped! But the researchers were shunned from publishing their findings in any of the major publications. Even the information we get from rock-solid, research-based, scientific publications can be skewed. Wow! I'm also enamored with the idea of eating as medicine. I've mentioned before that I've been sponging the material in this book. 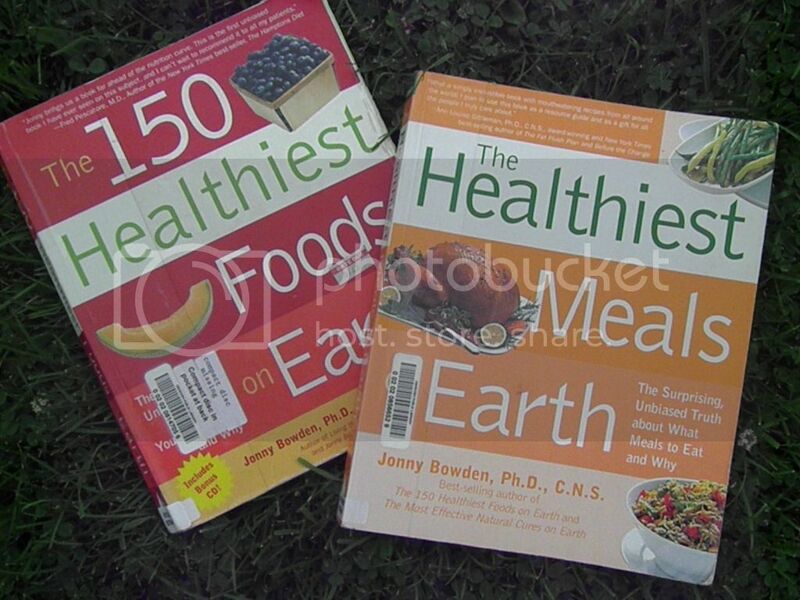 My mindset about food has completely changed since checking out The 150 Healthiest Foods on Earth at the library. I mean, I knew fruits, vegetables and other whole foods were good for your body, but only in a really generalized sense. I would read about a vitamin or antioxidant here and there in an article, but never focused squarely on one food at a time, learning about all the healing properties that one cup of spinach or button mushrooms offer your body. I highly suggest both of these resources, even just from the library. Check out the Food Matters website too. They have some really amazing resources on there. Happy researching!